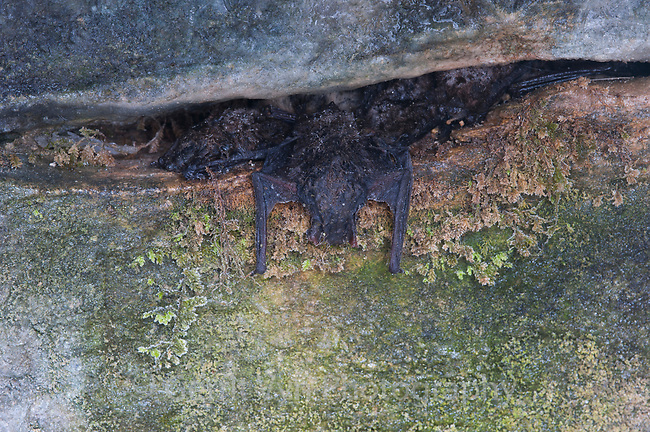 Dead Little Brown Myotis (Myotis lucifugus) hangs form a crevice outside the entrance to Aegolus Cave. Bennington County, Vermont. March.